For Your LWML Event Favors, Brochures, etc. Availability: May vary by item. Please make a selection from the options menu. Boat neck shirt with 3/4 length sleeves. 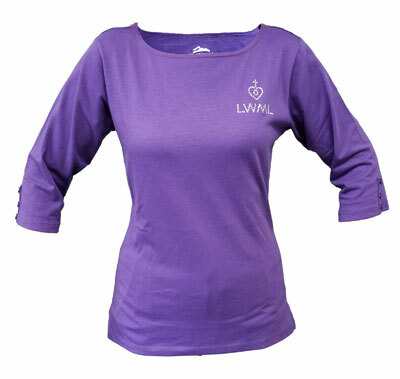 Features 3-button decorative cuffs and side vents. 60% cotton/40% polyester. May vary by item. Please make a selection from the options menu. Keep up with LWML devotions, news, and promotions. LWML has partnered with Concordia Publishing House to bring you an updated shopping experience while still providing the full range of LWML products and resources. Online checkout will take place on CPH.org. Simply sign up for a free account or sign in to your CPH account to order. This will allow CPH access to information needed for shipping and payment. As you combine your LWML and CPH shipment, you will save on shipping costs! I’m not ready to proceed.